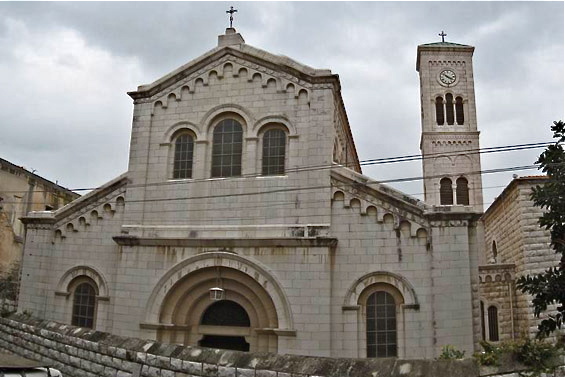 The Church of St Joseph was built in 1914 on the remains of a Crusader church and over a cave system. The first mention of the site occurs in the work of a 17th-century Italian writer and Orientalist, Franciscus Quaresmius, who described it as “the house and workshop of Joseph”. 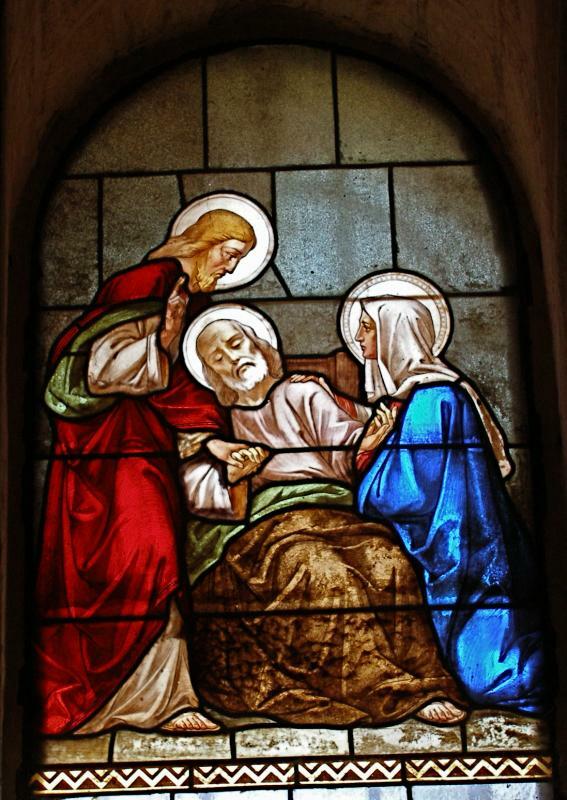 The apse of the church has three noteworthy paintings: The Holy Family, The Dream of Joseph, and The Death of Joseph in the Arms of Jesus and Mary. A stairway in the church descends to a crypt where caverns can be seen through a grille in the floor. Seven further steps lead to a 2-metre square basin or pit with a black-and-white mosaic floor. This is believed to have been a pre-Constantinian Christian baptistry, perhaps used as early as the 1st century. Beside the basin, a flight of rough steps leads down to a narrow passage which, after turning 180 degrees, opens into an underground chamber 2 metres high. Off this are openings to grain silos and water cisterns, cut into the soft limestone rock by early dwellers. Such underground repositories were typical of ancient Nazareth.